A Denver-based developer wants to build a mixed-use project topping out at 16 stories at the southeast corner of Sloan’s Lake Park, but two neighborhood groups aren’t on board with the plans. Zocalo Community Development plans to construct more than 300 residential units, about half of which would be designated as affordable housing, on the parking lot along Newton Street between 16th and 17th avenues. “It’s an opportunity to deliver on what I believe the goal of city council to be, which is to provide mixed-income communities,” said David Zucker, CEO at Zocalo. The site of the proposed development is owned by Lowell17 LLC, which Zucker described as a family trust. The trust also owns the Sloan’s Lake Medical Center, which houses Colorado Acute Long Term Hospital and Sloan’s Lake Rehabilitation Center, according to on-site signage. The medical center would not be affected by the development plans. Zucker said the family trust received offers from developers interested in building “cheap-looking multifamily,” but ultimately wanted “something that had community benefit.” The trust and Zocalo would share ownership of the development. The proposal is in the early stages. The land is currently under a “planned unit development” zoning plan that dates to the 1950s, which Zucker said allows for up to two 110-foot buildings. Zucker said a rezoning request likely wouldn’t go before council until next year. Plans for the project call for two new buildings and a parking garage. The first structure would be built at the southeast corner of Newtown and 17th, and feature about 160 market-rate townhomes and condominiums. The base of the structure would be three floors, but portions of it would rise to 10 and 16 stories, a maximum height of about 170 feet. The eight-story medical center tops out at about 130 feet, Zucker said. South of the condos, at the northeast corner of Newton and 16th, Zocalo wants to build a five-story building with about 160 affordable apartments. The units would be earmarked for those earning 60 percent or less of the area median income, and include some three-bedroom units designated for homeless families, Zucker said. The six-story parking garage would be built to the east of that structure. In all, the project would have 219,000 square feet of condos and 135,000 square feet of affordable apartments, according to the documents. The project also would have a total of 12,000 square feet of office space — a portion of which Zocalo wants to claim as its own — and 5,000 square feet of retail space. 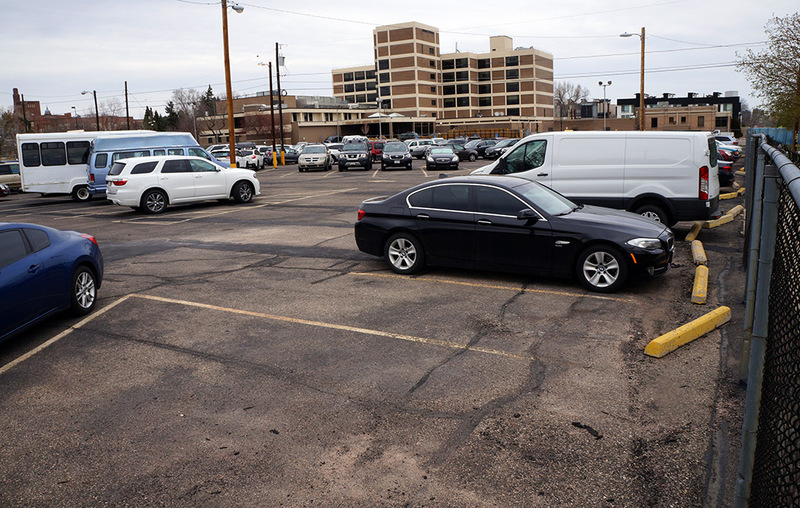 The plans also call for an existing 6,000-square-foot building south of the medical center to be leased to a community organization at no cost. The project hasn’t been embraced by nearby residents. The Sloan’s Lake Neighborhood Association said on Facebook in February that it had been talking to Zocalo about the project for a18 months, but opposes the proposal. The association said a 16-story structure would be “significantly out of context with the character of surrounding neighborhoods,” and that the plans fail to include “adequate open space at the edges of its development to make a visual and functional connection” to the nearby park. The association also criticized Zocalo for keeping the affordable and market-rate units in separate buildings. The West Colfax Association of Neighbors also told news site Denverite that the organization doesn’t support the current version of Zocalo’s plans. Although one building would be taller than the 10 stories allowed by current zoning, Zucker said the proposed development doesn’t exceed the current amount of allowed square footage. He said that Zocalo, after receiving resident feedback, adjusted its plans to include townhomes at the edges of the market-rate structure, so as to better blend in with the neighborhood. He noted the 10 and 16-story portions of the structure are set back from the street. Zucker said the market-rate and affordable units need to be in separate structures so as to receive financing. He acknowledged he doesn’t see the point of including open space, given the location. Zocalo’s past projects include the Riverclay Condominiums at 2240 Clay St. in Jefferson Park, apartment building Cadence at 1920 17th St. next to Union Station, and Coda at 100 Steele St. in Cherry Creek.